Field Sales, Service and Operations Management System is designed to automate, manage, and transform the entire customer service operation. Organisations using the FSM streamline data management and reporting, and significantly improve customer satisfaction and retention. 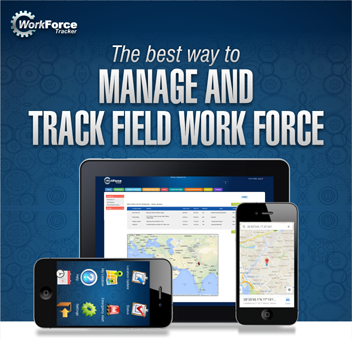 Our goal at Work Force Tracker is simple: To help your service company increase efficiency and productivity by leveraging technology that was built for your business’s specific needs. We take great pride in knowing that we assist enterprises around the world, across a broad range of industries. Our clients share a similar desire to better manage the complex nature of their service organizations, and nearly everyone across the company can benefit from our software - from the owners to the service managers, the warehouse crew to the administrative personnel, and the schedulers and dispatch managers to the technicians in the field. Customer satisfaction – with instantaneous access to schedules and resource availability, you can manage appointments and exceed customer expectations. Satisfied customers become loyal customers that will recommend your business to others. Automated scheduling – through an automated scheduling system work requests are assigned based on their priority, skills required, resource availability, travel costs and location. Automating the scheduling processes will give dispatchers more time to handle exceptions and emergencies while also making sure expenses are carefully managed. Quality and accuracy – work requests are entered once by your customer service representative, which eliminates redundant work while reducing errors. The correct customer information, work order information, and appointment is utilized throughout the entire system so that everyone understands and there is no miscommunication or missed appointments. Operational Speed – travel time to jobs are reduced because assignments can be made no matter where the resource is located. There is no need to come to the office or call to report in. The resource can access jobs and schedules via any smart phone, tablet or laptop with an internet connection. The main office realizes improved speed and productivity through seamless integration to the customer service systems and the back office billing and accounting systems as well. Cost – Modern System like Work Force Tracker leverages cloud technology and eliminate the expense and maintenance of hardware. Measure all of the benefits of field service automation such as number of jobs completed per day, reduced travel expenses, better customer satisfaction ratings and higher quality. Compare to the expenses over 2 to 3 years including up-front costs and monthly maintenance. After the comparison, the total cost of ownership (TCO) is very reasonable and the return on investment is obvious. Whether you operate a one-man-show or have a fleet of service vehicles, field service automation can benefit your company. Task SchedulingField service software centralizes scheduling information and updates in real time, so employees can access customer history, view job sites, and check the status of existing work orders immediately! Personnel can also track workloads on a daily, weekly and monthly basis to increase appointment booking and efficiency. Customer Management Software allows you to organize customer details, including service history and payment information in a secure environment. You can access this information in real time, so you spend less time managing existing customers and more time bringing in new ones. 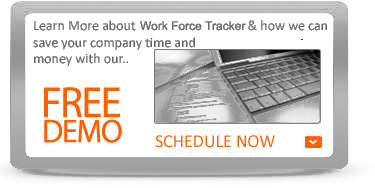 Time & Location Tracking You can track location of all employees. You know what they are doing and where they are at all times. A field service management solution allows you to manage timesheets for employees, including time off, overtime and pay policies. Plus, the software monitors time-effective services, as well as time-consuming customers. Work Orders, Custom Data Forms, Expense Tracking, Invoicing and More FSM software digitizes forms and organizes them through each stage of a job, whether you’re at your desk or out in the field. 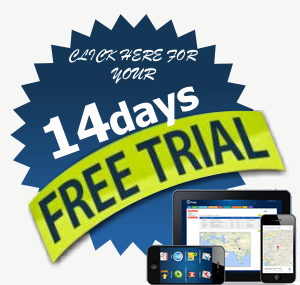 This function helps you provide accurate project estimates and verify customer satisfaction. Plus, automating your work orders increases your speed and efficiency so you can move on to the next job without worrying about overdue paperwork. Geo Fencing and Security Alerts You can geo-fence your staff so that theyd on't waste time or wander in non-productive areas. The ability to invoice electronically and accurately within seconds of completing a job will improve your cash flow by cutting days off your service to cash cycle. The less time it takes to produce and deliver invoices to clients, the quicker your company can receive payment! Reporting You need to be able to track stats about everything that goes on in your company, and field service software does this for you easily. You can quickly find completed work orders, individual tech stats, revenue-driving services, inventory reports, and more. Software gives detailed insight as to how your business operates.